Varicose veins is a common disease with about 23 percent of U.S. adults suffering from it with unknown health risks.Dr.Pei-Chun Chen, Ph.D., China Medical University, Taichung, Taiwan, and coauthors conducted an observational study to find out whether patients of varicose veins were at increased the risk of other vascular diseases including DVT, pulmonary embolism (PE) and peripheral artery disease (PAD) The researchers found that Varicose veins were associated with increased risk of developing deep venous thrombosis (DVT). In the research in all 212,984 patients with varicose veins and 212,984 without varicose veins from claims data in Taiwan’s National Health Insurance program were enrolled from 2001 to 2013 and followed up through 2014.The study measured risk of developing DVT, PE and PAD in people with and without varicose veins This was an observational study in which researchers were not intervening for purposes of the study and couldnot control all the natural differences that could explain study findings. In this retrospective cohort study from Taiwan that included 425 968 adults, the presence of varicose veins was associated with a significantly increased risk of incident DVT (hazard ratio [HR], 5.30), PE (HR, 1.73), and PAD (HR, 1.72). The researchers found that varicose veins were associated with increased risk of DVT but more research was needed to understand whether that association is causal or if it reflects a common set of risk factors. Findings about potential associations between varicose veins and risk of PE and PAD were less clear because of possible confounding factors.Among adults diagnosed with varicose veins, there was a significantly increased risk of incident DVT; the findings for PE and PAD are less clear due to the potential for confounding. 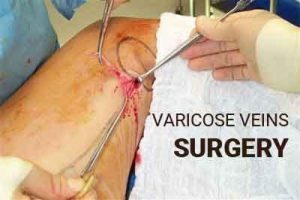 Whether the association between varicose veins and DVT is causal or represents a common set of risk factors requires further research.